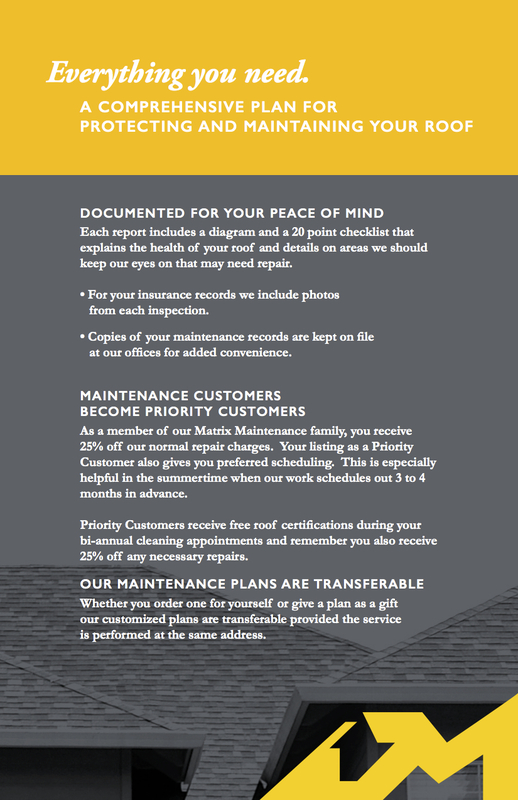 Our maintenance program is a comprehensive plan for protecting and maintaining your roof. Regular maintenance and roof inspections will prolong the lifespan of your roof. Give us a call and we can walk you through the benefits of becoming a maintenance program member.